The goTenna Mesh is able to send and receive messages over an impressive range considering its size and power output — anywhere from a quarter-mile in cities or dense forests, all the way up to four miles in open plains, deserts or other unobstructed areas. These are approximate numbers of course, so it’s not uncommon to see ranges that deviate a bit in either direction. Sometimes though, we will hear of a range report that surprises even us. Ben Hirashima and his GliderLink app is definitely one of those times. GliderLink facilitated a record-setting single-hop transmission between two unmodified goTenna Mesh units. The message originated from a user at the Hollister Airport, just outside the town of Hollister CA, and was received by a user some 3,205 ft above the town of Tracy — a jaw-dropping 61 miles away. 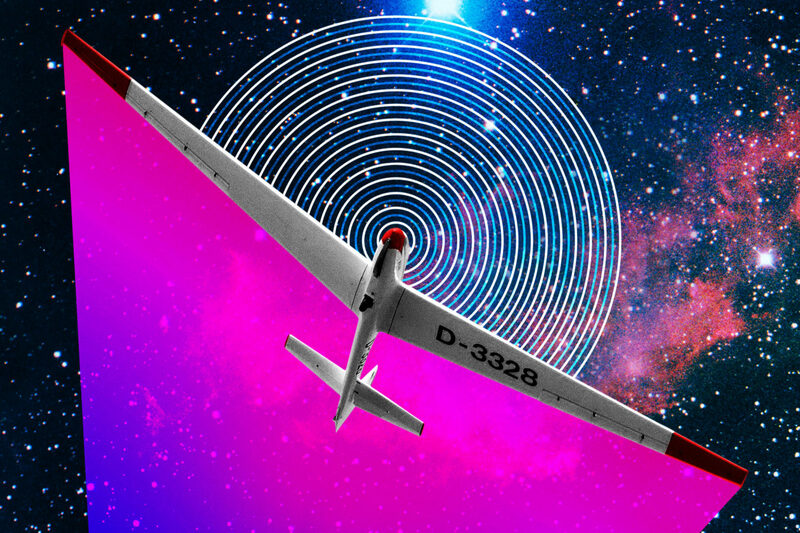 Hirashima used the goTenna SDK to make GliderLink as an app for glider pilots and other members of the “soaring community.” Gliders (also known as sailplanes) are engineless aircraft that use currents of wind instead of propellers or jet fuel to keep themselves aloft. If conditions are right, gliders can remain in the air for hours. Finding the most favorable gliding conditions, however, can be difficult. This is the problem that GliderLink creator Ben Hirashima wanted to solve with his app. As a software engineer, Hirashima was not impressed with the state of technology in the cockpits of most glider planes. Many pilots use radio to share information about where to find the best air for soaring, but these transmissions can be vague and confusing. Using cell phones to share GPS data seemed like an obvious solution, but for one major impediment: connectivity. If you’ve ever ignored the flight attendants and tried to use your phone on a commercial airplane, you know that cell phones typically do not get much reception at high altitudes. After a few years of working on it in his spare time, Hirashima released GliderLink in April 2018. The app was designed for clarity and ease of use, and features a very simple interface. It shows the callsigns, relative altitudes, and vertical speeds of other nearby gliders. Although he has plans to incorporate meshing and make an iOS version (GliderLink is only available for Android at present), Hirashima has already received glowing reviews for his contribution to the soaring community. You can download GliderLink free from Google Play. A GliderLink user flying above the town of Tracy, CA received a message sent from the Hollister Airport, 61 miles away.